Experience condo living at its finest with the latest Durham condos for sale. Whether you’re a first-time homebuyer or a retiree looking to downsize, condos are a great way to stay connected to the real estate market and still enjoy the freedom of living in a low-maintenance property. Condos in Durham come in a range of prices and locations so whether you’re looking for a high-rise metropolitan luxury property or a more modest condo on a residential street, the city is brimming with condo options for you. 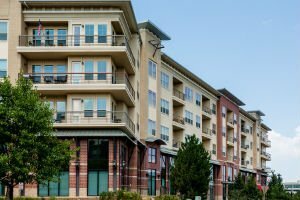 Explore the latest condominium listings below or read below to find out more about Durham condominiums and find out if condo living is right for you. Condominiums in the Durham real estate market are ideal for those looking to purchase a first home or experience the convenience of downsizing from a large family property. Most condos in the area include open-concept layouts, modern fixtures and appliances, and gorgeous views of the city, giving homeowners the chance to enjoy their life without worrying about cutting grass or cleaning extra rooms within the home. Durham luxury condos include spa-like bathrooms, exceptional fixtures, floor to ceiling windows, and access to quality amenities such as a fitness center, underground parking, rooftop patio, pool, and more. These condos take the most luxurious aspects of homeownership and incorporate them into one convenient and comfortable living space. Downtown Durham condos are ideal for young professionals looking to stay close to the hustle and bustle of downtown Durham. These properties also feature modern fixtures, a practical open-concept floor plan, and stunning views of downtown Durham. Large, bright windows illuminate the space and highlight the sleek design of these contemporary properties. As the demand new condos in Durham continue to grow, homebuyers looking to enter the condo real estate market get access to numerous options for their next purchase. Whether you’re looking for a modernist downtown property or a contemporary luxury condo, the Durham condo market has something for you. If you're on the hunt for Durham condos for sale or other Durham NC real estate, let the My NC Homes team help simplify the process! Send a message or give them a call at 919.659.5173 for more informaton today.